The White House was forced to defend its healthcare plan on multiple fronts on Tuesday after a damning report found it would deprive millions of people of insurance, deepening divisions in the Republican party. A nonpartisan Congressional Budget Office (CBO) study released on Monday predicted that by 2026, the number of people without insurance would increase by 24 million if House Republicans’ legislation to replace the 2010 Affordable Care Act (ACA) – also known as Obamacare – is adopted. 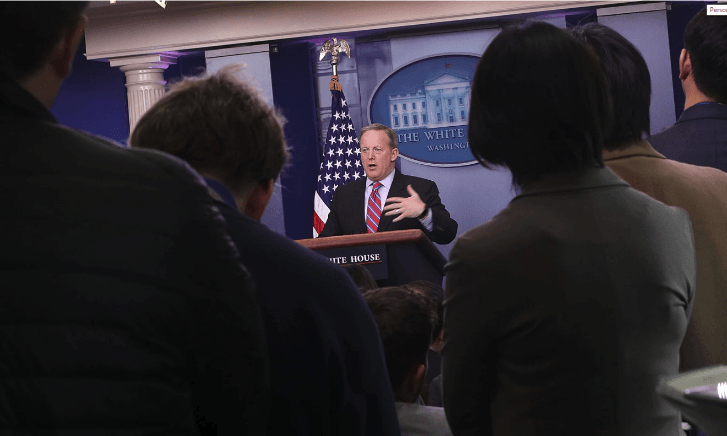 But during an hour-long briefing dominated by the issue, White House press secretary Sean Spicer challenged the CBO’s figures, contended that two further phases of reform should be taken into account and continued his retrospective battle with Barack Obama’s administration.